Blood thinners, often known as antithrombotic or anticoagulant drugs, are used to reduce the likelihood of developing blood clots or to treat established clots in certain situations. They don’t actually make the blood thinner, but rather inhibit certain cells or proteins in the bloodstream which can tend to promote clot formation. Aspirin is the most commonly used of these drugs and works by inhibiting blood platelets, blood cells responsible for the initiation of clot formation. An aspirin a day can reduce the risk of a heart attack in a patient with known coronary artery disease by 25%. Thienopyridines, including Plavix (clopidogrel), Effient (prasugrel), and Brilinta (ticagrelor) are more potent inhibitors of platelets and further reduce the risk of clot formation over and above the effect of aspirin. Patients with recent stents, heart attacks, or unstable angina generally require both an aspirin and a thienopyridine to maximally reduce risk of coronary artery clots. These drugs may also be recommended in patients with stroke, TIA, and peripheral vascular disease. Warfarin (Coumadin, Jantoven) works by inhibiting the production of vitamin K dependent clotting proteins in the liver. That is why vitamin K rich foods can interfere with the effect of warfarin. It is generally used for patients with atrial fibrillation or artificial heart valves. Warfarin interacts with many other medications which can intensify or reduce its effectiveness and thus, you should always tell all your physicians and pharmacists that you take this medication to avoid serious complications. Newer oral anticoagulants, or NOACs for short, include Pradaxa (dabigatran), Xarelto (rivaroxaban), Eliquis (apixaban), and Savaysa (edoxaban). These drugs inhibit certain proteins (thrombin or factor X) to reduce the risk of clot formation. They are generally used for atrial fibrillation or in some cases venous or lung clot prevention or treatment. They are NOT approved for patients with artificial valves. There are several other agents used by injection such as heparin, enoxaparin, bivalirudin, etc., that work similar to the above orally active agents that we use primarily in hospitalized patients. Many of these drugs are used in combination in certain situations to further lower the risk of clots developing, but this can also increase bleeding risk. If you have concerns, you should discuss them with your physician. Nitroglycerin containing drugs are used in patients with coronary artery disease or coronary spasm because they tend to relax the arteries, allowing them to dilate and thus improve blood flow. They act quickly, especially when given under the tongue or intravenously and have a short duration of action. A common side effect is headache from the dilation of the blood vessels in the brain. Your body develops a tolerance to the effects of nitroglycerin quickly so many physicians recommend a nitrate free interval of 10-12 hours a day if on long term therapy. 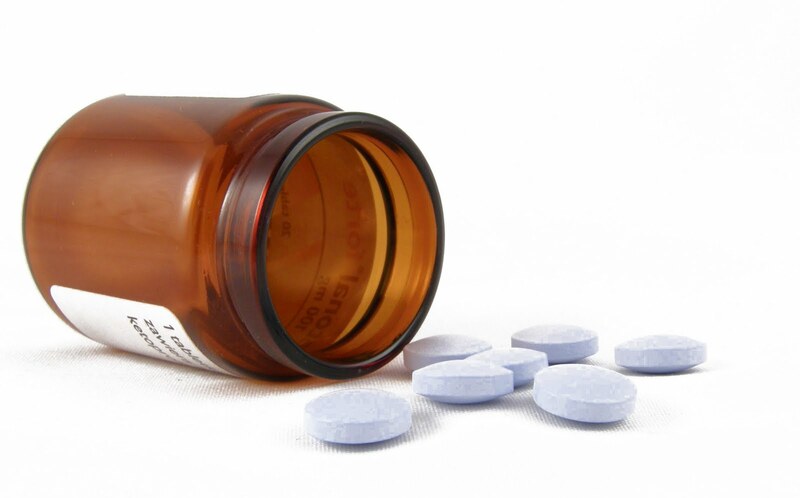 Calcium channel blockers (diltiazem, verapamil, nifedipine and many others) do exactly what the name says…they block the entry of calcium into cells. Calcium is necessary for muscle contraction. Blood vessels have a layer of smooth muscle tissue, so they dilate the vessels much as nitroglycerin does. Some also tend to slow the heart rate and reduce the strength of heart contraction. They are often used for angina, high blood pressure and in atrial fibrillation to help keep the heart rate controlled. Headaches and swelling can be side effects. Beta blockers (atenolol, propranolol, metoprolol, and many others) essentially block one of the sites (beta-receptors) through which adrenaline and related hormones exert their effects. Adrenaline causes an increase in heart rate and blood pressure so these drugs counteract that effect. They are useful for angina, high blood pressure and limiting the size of a heart attack as well as reducing the risk of future heart attacks. They can also be used to help control the heart rate in patients with atrial fibrillation. Several (carvedilol, metoprolol) may actually help strengthen the heart in certain patients with heart failure. Proprotein convertase subtilisin kexin type 9 inhibitors Praluent (alirocumab) and Repatha (evolocumab) represent dramatic new weapons the the fight against high cholesterol. These are given at home twice a month by injection and dramatically lower LDL or bad cholesterol. Currently we use these in patients with known coronary artery disease or inherited high cholesterol who can’t reach a goal of LDL<70 with statins combined with other drugs or who don’t tolerate statins. Side effects thus far have been minimal though some experience injection site reactions. There are many other drugs we use less commonly in the treatment of heart disease so this list is by no means comprehensive. If you have specific questions regarding your medications, please discuss them with your physician.